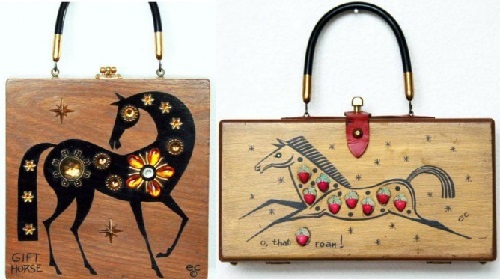 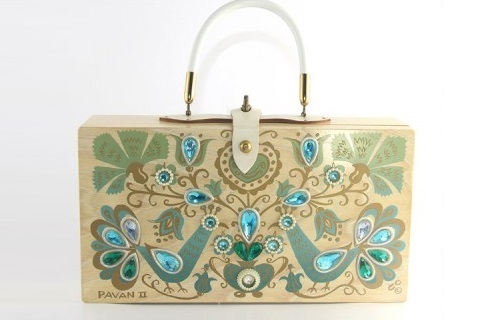 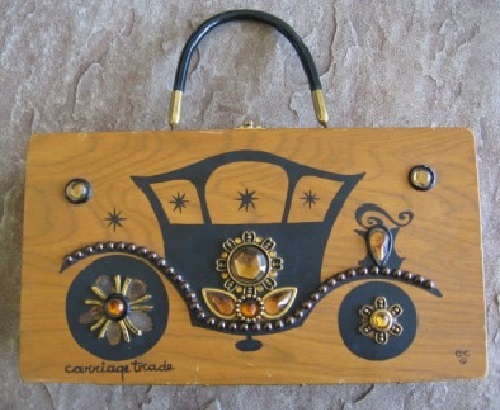 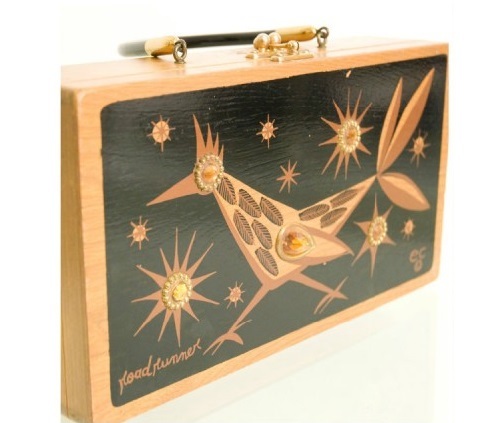 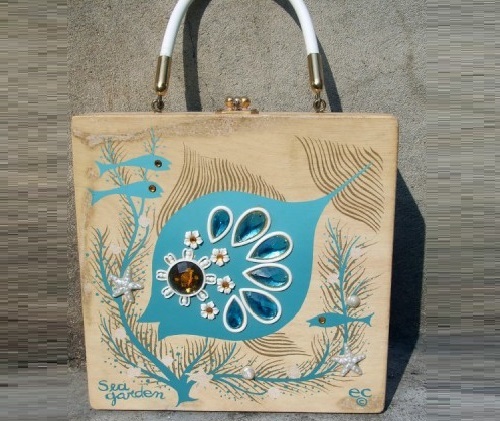 American designer from Texas Enid Collins began producing these amazing bags in 1959. 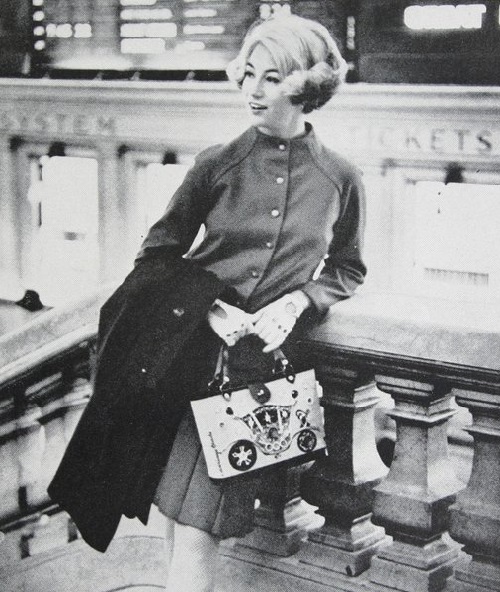 She became the proprietress of the same name brand. 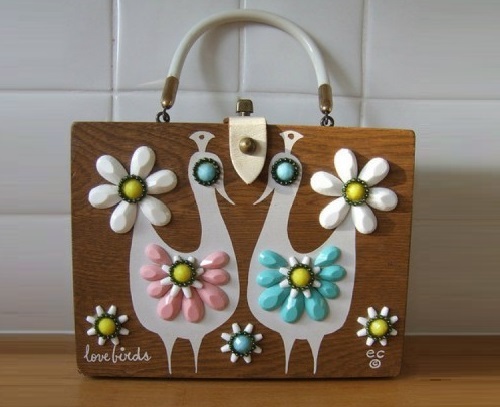 Non-standard, bright, cheerful, with a good dose of humor and self-irony – with her bags used to fall in love at first sight. 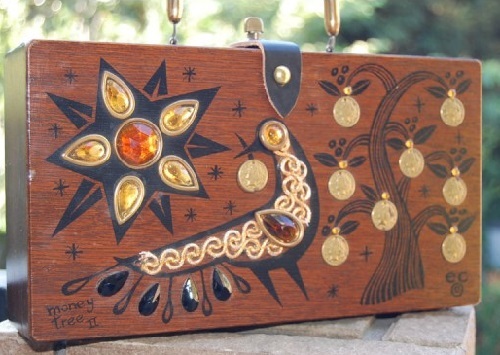 Initially Enid Collins made bags with her husband Fred, right at the ranch. 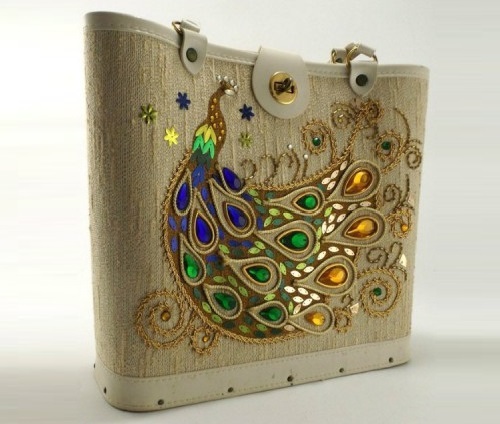 Only later, as the popularity of handbags grew, production was moved to a separate studio, and then appeared two factories in different cities. 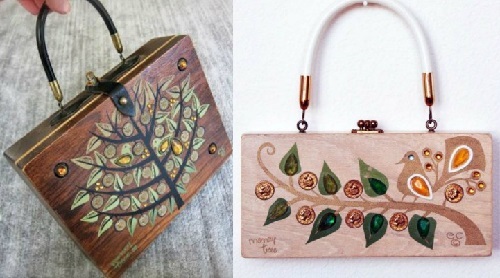 Handbags were made in two types: wooden boxes-clutches and “buckets” (reminiscent of linen bucket bags with a wooden bottom). 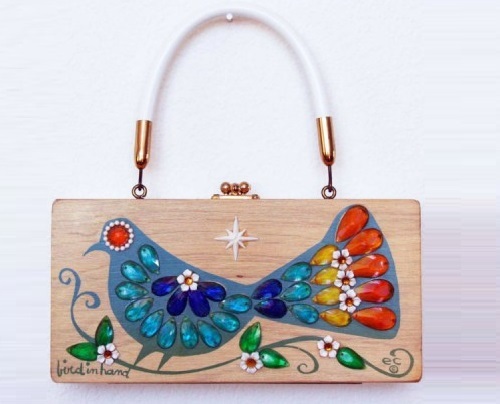 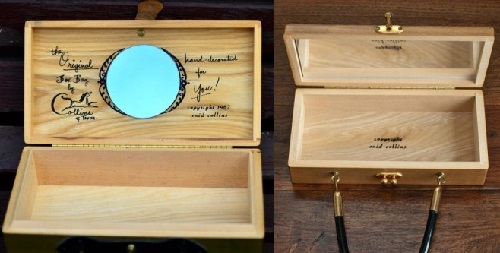 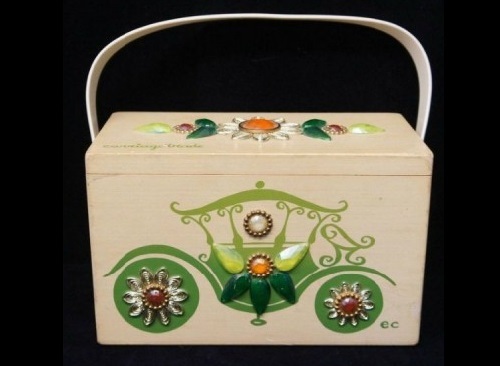 Wooden bag (box bag) was Enid invention. 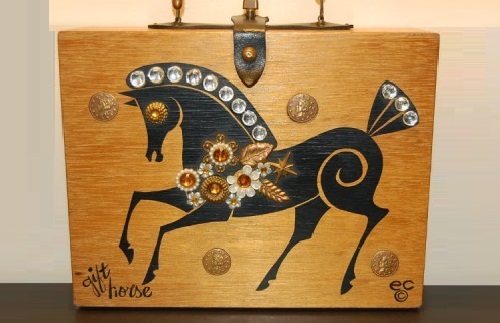 Each bag was hand-painted and decorated with crystals, sequins, rhinestones, mirror, and glass beads. 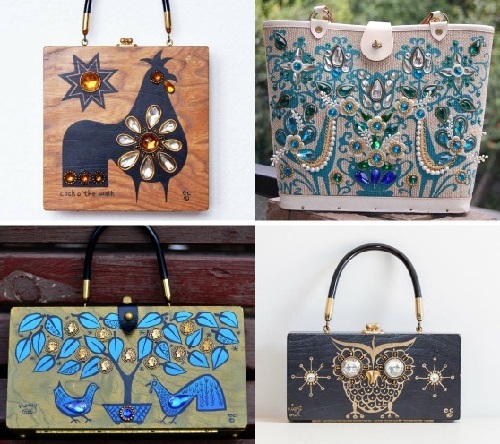 There are over 100 different designs, and each of them – the history and vivid image. 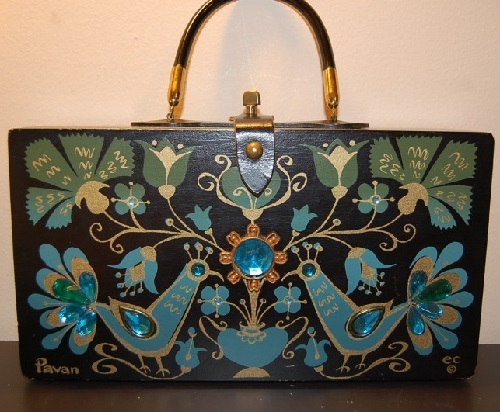 The main inspiration for Enid Collins were various birds – peacocks, owls, roosters, pigeons, blackbirds, parrots, and other birds. 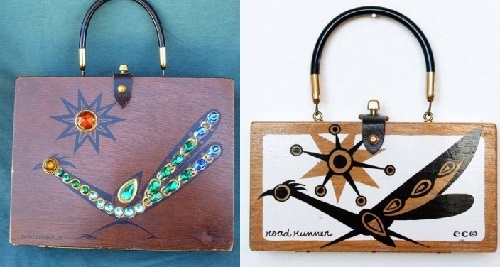 Each bird has its own emotion, each bag was truly unique. 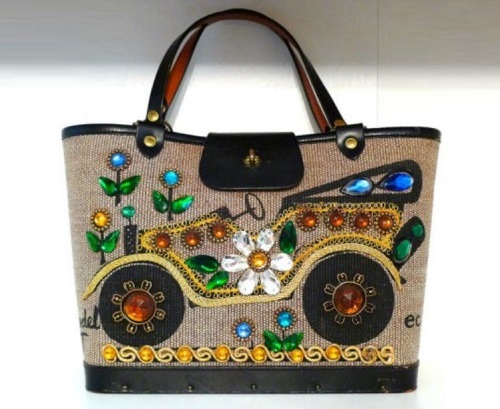 In 1970 Enid sold the business to Tandy Leather Corporation, which has continued to manufacture bags branded Collins of Texas. 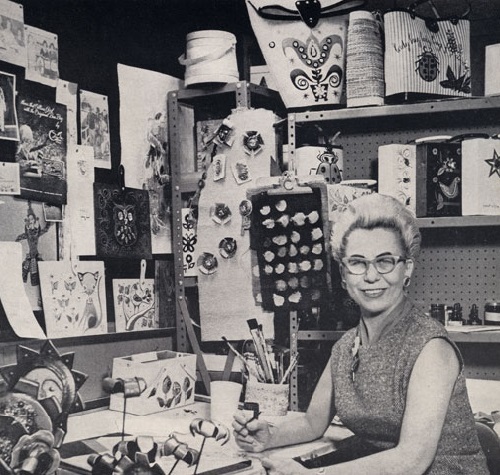 For a while she went to work for Tandy, but the company did not want to depend on a single designer. 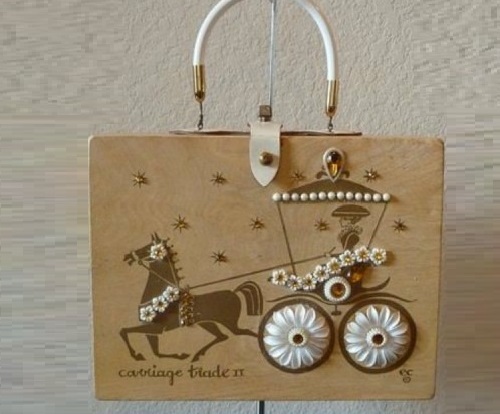 Tandy began experimenting with the design, at times, even successful. 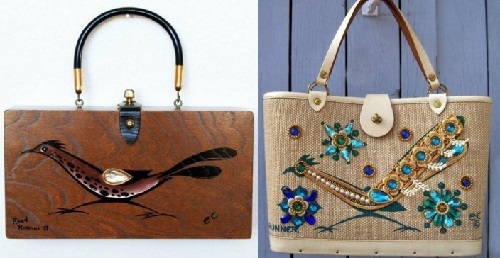 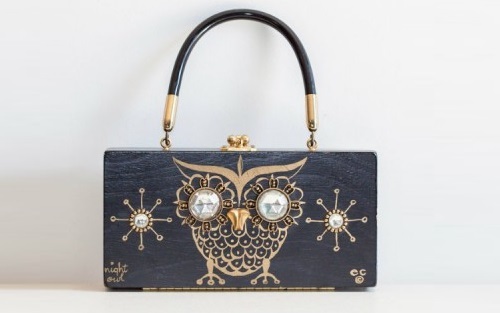 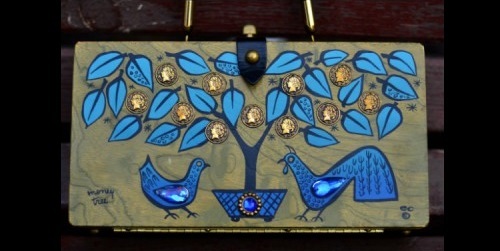 But mostly their bags were similar to original in the shape and motifs – birds and funny animals. 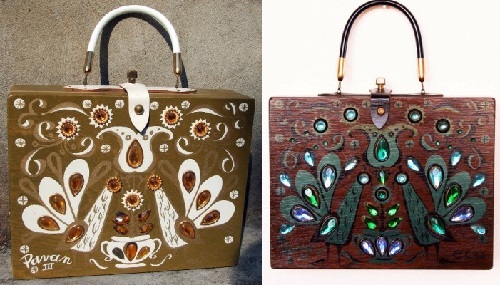 How to distinguish the original Enid Collins bag, made before 1970? 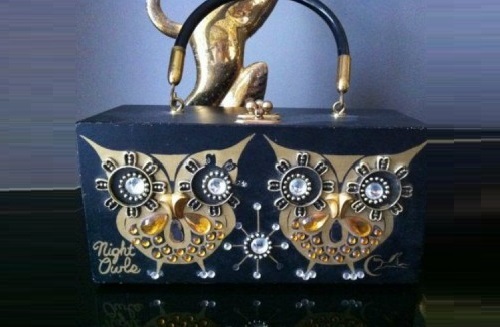 Earlier handbag were signed by the full name of Enid Collins (often with an indication of the year), many bags marked with the logo “ec” or a lowercase “c”. 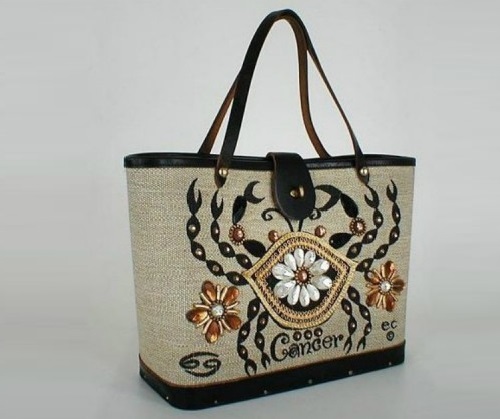 Handbags released by Tandy are marked “Collins of Texas” or with the capital letter “C”.